As long as it receives benefits through association, Pakistan doesn’t care if China is using it as a transit route in the CPEC. Not a single day passes in Pakistan without someone from the ruling elite hailing the China-Pakistan Economic Corridor (CPEC) as a ‘game changer’ and an initiative of prosperity and development. Former Prime Minister Nawaz Sharif, in August 2016, described CPEC as “not only a game changer, but a fate changer as well”. Current PM Shahid Khaqan Abbasi said the corridor is a game changer not only for Pakistan but the entire region. Baloch nationalists, however, are wary that the gigantic project would benefit only Punjab. Likewise, the residents of port city Gwadar also are uncertain and see China as the real gainer, not Pakistan. Pakistan’s Vision 2025, the blueprint of economic development that was unveiled in 2014, aims to convert it from a lower-middle-income nation to an upper-middle-income nation by 2025 through the CPEC push. The much-touted CPEC, worth US $62 billion and 3,200 km long, passes through the great Himalayan range, followed by the plain turf of Punjab and dusty Baloch terrain, finally reaching the Arabian Sea via Gwadar port. Beijing will finance, provide technical assistance, and build several infrastructural projects ranging from road network to railways, highways, oil pipelines, communication networks, and energy plants. The mammoth land and maritime initiative has already revitalised the Sino-Pak relationship, which earlier was pegged on political and strategic cooperation. The top take from CPEC would be to connect landlocked Kashgar city with the warm water of the Arabian Sea. Successful materialisation of the scheme would provide China an alternative route for its quest to the Middle East and beyond, thereby bypassing the vulnerable Strait of Malacca and southern tip of Indian Ocean. Pakistan hopes that the massive inflow of Chinese money coupled with technological assistance would inject optimism into the underperforming economy, and help it come out of international isolation. For Beijing, a stable Pakistan would be best for its extended regional interest. To this end, it has injected an amount that is four and half times the total US economic aid to Pakistan since 9/11, and is more than twice the amount of all foreign direct investment (FDI) Pakistan has received since 2008. Furthermore, China is shaping up Gwadar, a key port defined in the Long Term Plan (LTP), rapidly, since the port would translate its hefty economic ambitions into reality. China, after financing 80 per cent of the port’s initial development, has recently taken operational control for 40 years, turning it into a regional giant. The energy sector gets the lion share ($33 billion) of the Chinese investment. Today, with special emphasis on the Early Harvest Programme (EHP), power outage has been reduced to minimal levels as compared to 2013. Thirty two months after the EHP was launched, it added 10,400 MW electricity to the national grid, addressing the country’s energy woes. But CPEC is not just a commercial project; it serves defence and strategic objectives of China and Pakistan alike. Gwadar port, currently developed for commercial gains, may well become a second line of defence for Pakistan after Karachi. A 2016 report by the Senate Defence Committee noted the naval base is “a significant addition to our maritime infrastructure”, but that it is “primarily a commercial venture [that] affords substantial operational flexibility to the navy”. Furthermore, because of its strategic location, Gwadar poses a serious challenge to the nearby ports e.g. Oman and Dubai, thus translating Pakistan’s potential of becoming strategic trade gateway. The port could also witness Chinese naval footprints soon as already two Chinese ships are deployed near Gwadar for CPEC route security. 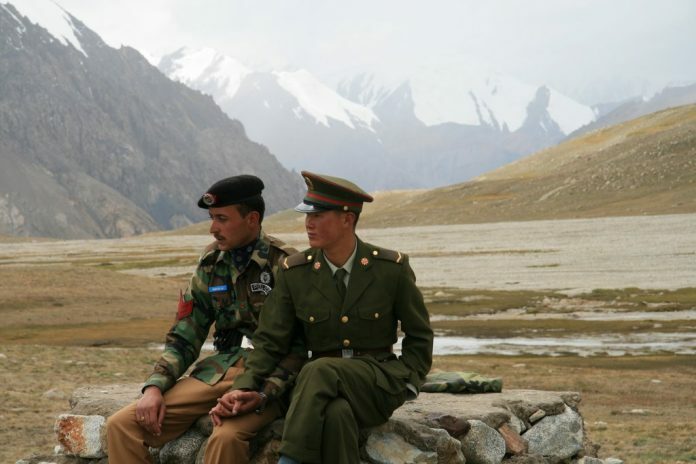 More than 90,000 Chinese citizens have visited Pakistan after 2013. The foreigners that Pakistanis interact with most on a daily basis now are the Chinese. With the arrival of this large number of Chinese visitors, the parliament recently passed a resolution “recommending” Chinese-language courses to be taught in Pakistan. Last year, a bilingual newspaper called Huashang Weekly launched with 5,000 copies, and publication reached 60,000 readers. Huashang staff includes both Chinese and Pakistani journalists and is widely circulated in Lahore, Islamabad and Karachi. A renowned local media group called Jang/Geo also added the Chinese language on its website, making it the only media website in Pakistan with this option. To enrich the linkages between Beijing and Islamabad, a festival showcasing arguably the first cultural exchange between the two sides just concluded in Pakistan. The two-day CPEC Cultural Caravan festival included film screenings, a fashion and textile show, book launch, handicrafts display, and cultural cuisine, with an ambition to knot the two completely divergent cultures. The enthusiasm embedded with CPEC is pretty understandable since Pakistan has the habit of enjoying provisional feats, courtesy external support. Islamabad twice got into the US block (1979 & 2001) and attained few short-term gains. This time around, it is ecstatic over the new partnership with Beijing and satisfied to be a transit route for the ‘dragon of the north’. While Pakistan is a vital part of the proposal to connect millions of people in Asia, Africa and Europe, what happens to the local economy when all roads lead to Beijing? Pakistan certainly can get benefits emanating from CPEC, but the challenges and questions of local labour, traders, environment, and security have all been put on hold.